Thanksgiving falls on an interesting day this year. November 28th is the second day of Hanukkah and Thanksgiving. 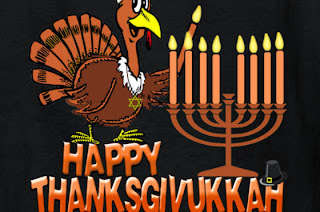 So now some people are calling it Thanksgivukkah! 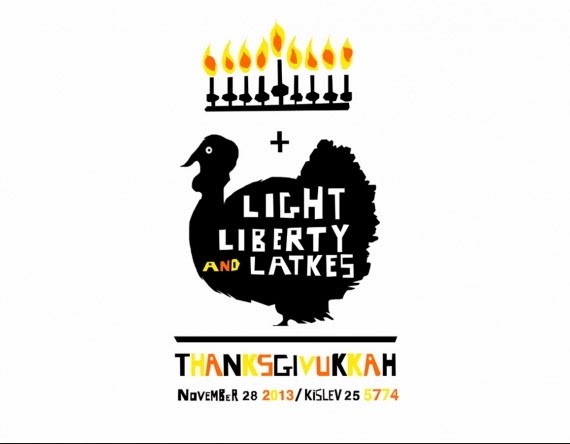 Thanksgiving + Hanukkah. Last time it occurred in 1888 and won’t happen again for at least another 79,000 years! The phrase was coined by a Dana Gitell, a social media marketer from Boston area. Last fall she launched a Thanksgivukkah Facebook (FB) page and Twitter (TWTR) account for the mash-up holiday. Manischewitz, the leading producer of kosher food items in the U.S., has started its own holiday website. Thanksgivukah.com (one “k,” not two). 9-year-old Asher Weintraub created a new object to mark extremely rare overlap of Thanksgiving and Hanukkah. 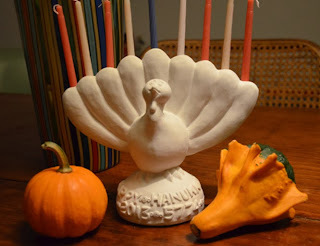 Menorah + turkey = Menurkey. His dad Anthony Weintraub, filmmaker and content creator from New York used www.kickstarter.com to fund the project. 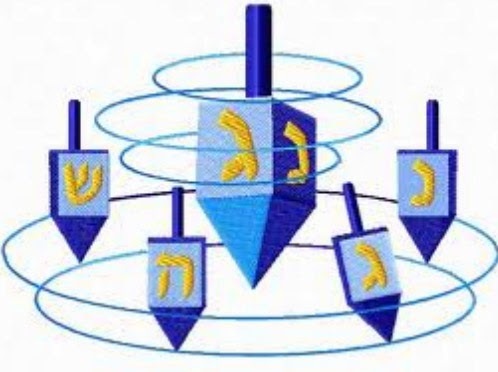 Weintraub used a web-based modeling program called Tinkercad to design the menorah, and some friends at MakerBot Studios used a 3-D printer to create a prototype. A ceramic artist made final prototypes in clay, with both the Gregorian and Hebrew years appearing on the Menurkey’s base. 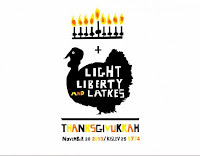 The shop in New York Jewish museum is exclusive NYC Retailer of Hanukkah-Thanksgiving Menurkey. At the The Jewish Museum’s annual Hanukkah Family Day on Sunday, November 24, Asher Weintraub will be on site to sign his creation at 11:30am. Due to overwhelming demand, the Menurkey is now not available for delivery in time for Hanukkah/Thanksgiving. In-store Pick-ups are also no longer available before the holiday. 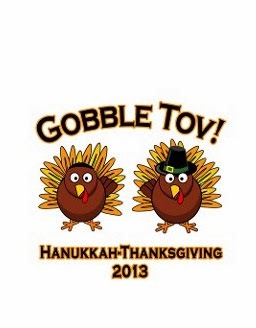 Web sites have started selling things like Thanksgivukkah wrapping paper, greeting cards and bags that say "gobble tov." In New York City, Macy's will include a giant dreidel in its Thanksgiving Day Parade to honor the occasion. This extraordinary convergence of holidays reminds us that both the Maccabees and the Pilgrims valued freedom above all.